LocationThis appealing hotel has a great location just 300 m from the beach. Various shopping facilities and entertainment venues are also a mere 300 m away.FacilitiesThe establishment comprises a total of 126 accommodation units. Guests of the establishment are welcomed in the lobby, which has a 24-hour reception and a 24-hour check-out service. A lift can be used to access the upper floors. 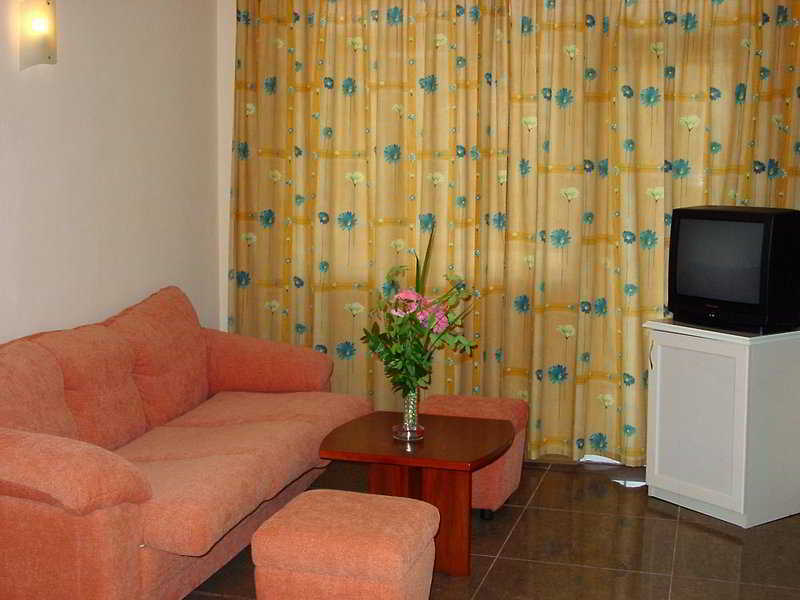 Services such as a cloakroom, a safe and currency exchange facilities make for a comfortable stay. Wireless internet access allows guests to stay connected. In addition, guests can also enjoy a balcony. Gastronomic options include a restaurant, a café and a bar. Guests can visit the supermarket to purchase daily necessities. Shopping facilities are available. Children can have fun playing in the garden. Guests arriving in their own vehicles can park in the car park. Additional services include medical assistance, room service and a omsAll accommodation units feature air conditioning, a living room and a bathroom. Most rooms additionally feature a balcony or a terrace. 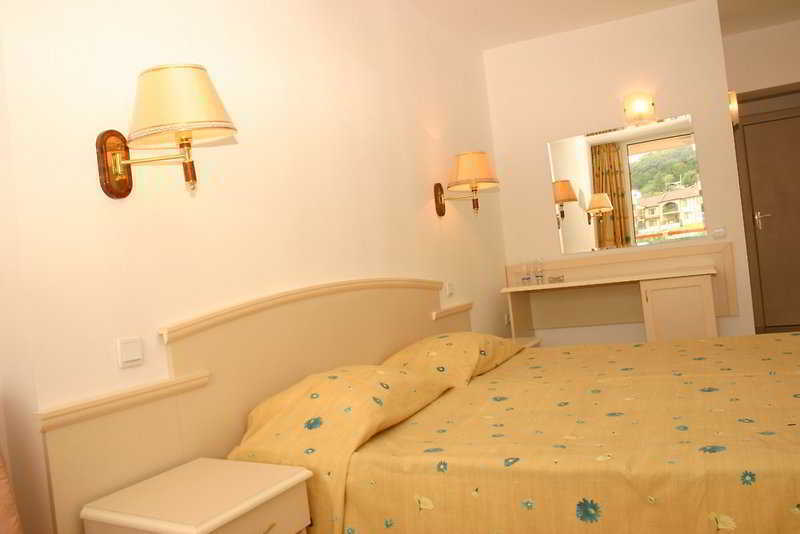 Each accommodation unit features separate bedrooms or a sofa-bed. 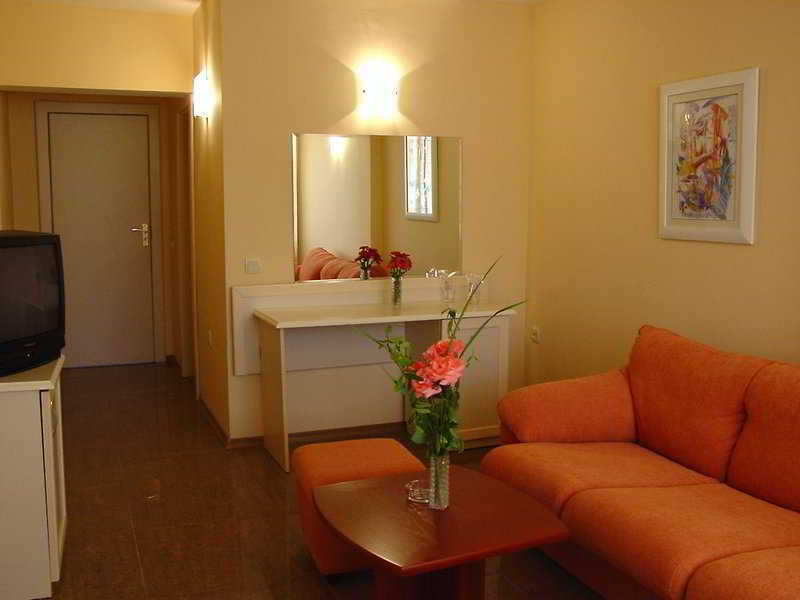 All accommodation units offer a minibar, a telephone and a TV. In the bathrooms, guests will find a shower and a bathtub.Sports/EntertainmentThe establishment features an outdoor pool and a children's pool. A sun terrace, sun loungers and parasols are available. Various refreshing drinks are available from the poolside bar. Leisure options at the establishment include volleyball, golf, surfing, a gym, table tennis and pool/billiards, or for a fee, massage treatments. Further available options include a kids' club. MealsVarious meals and board options are bookable. 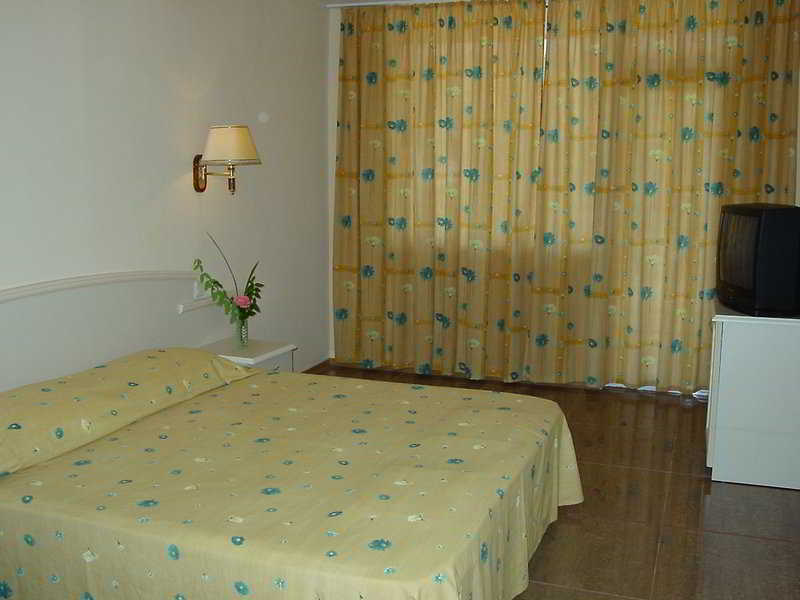 Guests can choose from breakfast, lunch, dinner, B & B, half board and All-inclusive. Staff are also happy to prepare vegetarian dishes. Snacks can be enjoyed at the establishment. Alcohol-free drinks and alcoholic drinks are available. The Detelina is a Tourist hotel. Located in Varna area. Shopping is within walking distance and the nightlife/restaurants are located in the hotel.